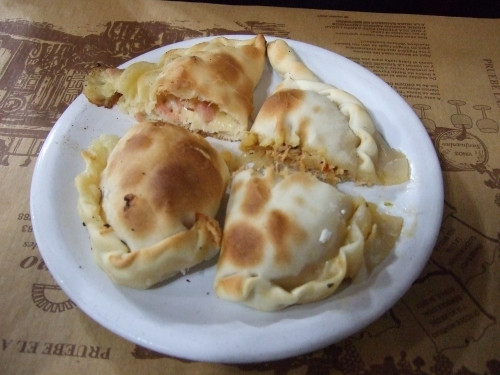 There is a restaurant in Buenos Aires called El Sanjuanino that has the most amazing empanadas, with all kinds of different flavours – and I wanted to have a crack at recreating them. 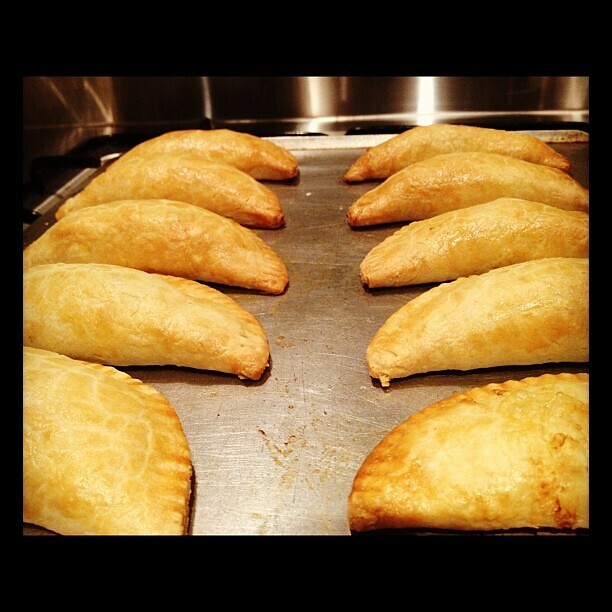 An empanada is a stuffed bread or pastry that is either baked or deep fried. It is very popular in Latin America, but also can be found in South East Asia and Europe. The closest thing I can relate it to is a Cornish pasty! 5. 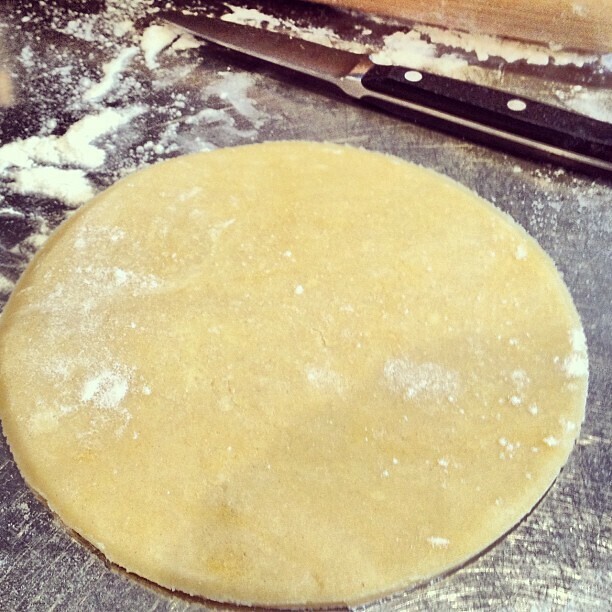 Add cooled filling to the middle of the pastry circle. 6. Fold in half and press to remove any air. ‘Glue’ the edges together with the egg wash, and crimp around the edges with a fork. 7. Place on a greased baking tray and bake for 15-20 minutes or until golden brown. 4. 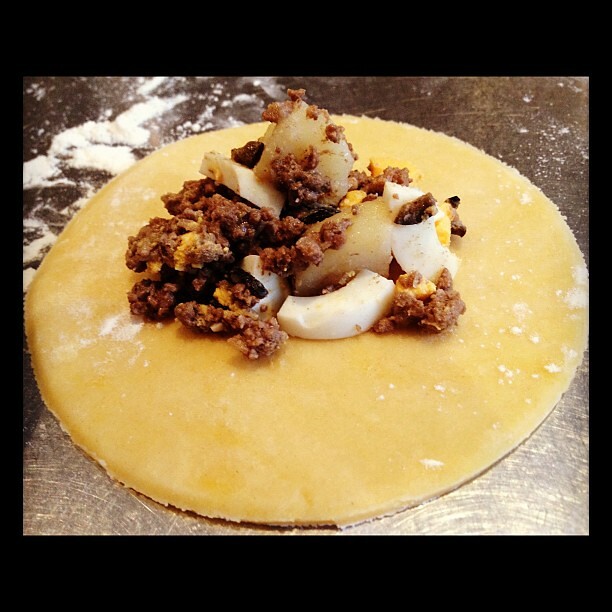 Fold in the eggs and potatoes and leave mixture to cool. Mix cheese and onion together. 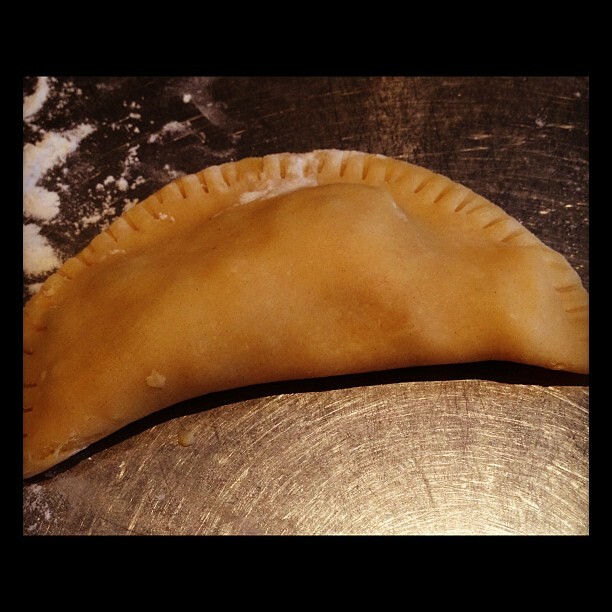 Spoon the cheese filling into the middle of the pastry and use egg wash to seal as per above. I was pretty happy with how the empanadas turned out – the pastry was quite different to the ones I had at El Sanjuanino, but was still really good. 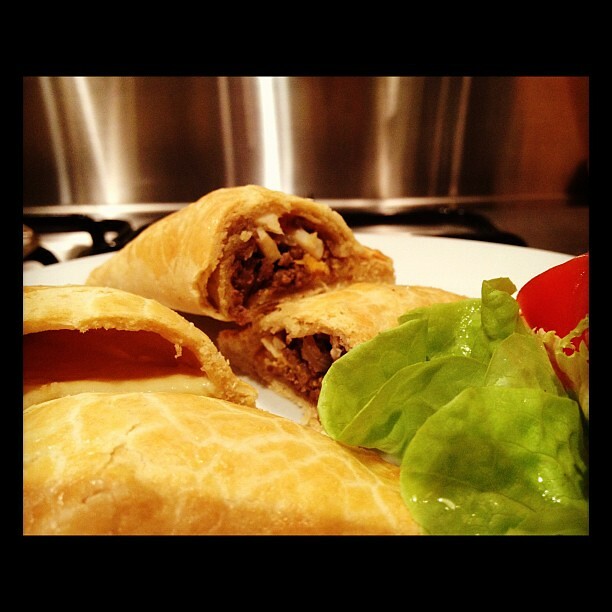 The beef and cheese fillings were very tasty if I do say so myself!